When moving to a new place, the most convenient, affordable, and safe option to transport your motorcycle is through a motorcycle shipping services company. When it comes to choosing a shipping company, however, only a few make it to the list of trusted and reliable options. Offering different transport methods, EasyHaul aims at providing you with quality service, keeping your requirements and needs first. Before sending your vehicle for transport, there are a number of precautionary measures you can take to avoid potential damage. 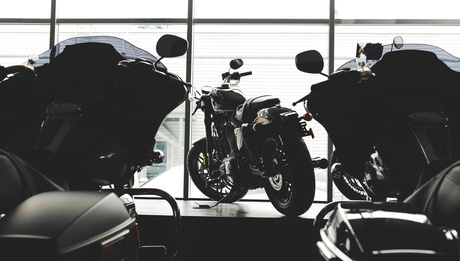 To guide you, in this blog, we cover seven pro tips you need to know to ship your motorcycle safely. The first thing to do when shipping your motorcycle is to drain all fluids. It not only decreases the overall weight of your vehicle and the motorcycle shipping cost, it also helps in avoiding potential spillage. Spillage of any fluid, especially gasoline puts your vehicle in danger and jeopardizes the safety of the transportation vehicle too. It is, therefore, essential to drain all fluids from your motorcycle, especially gasoline. Although electrical issues are not too common during vehicle transport, it is advisable to take the safer road. Before shipping your bike, it is essential to unplug the battery to eliminate the possibility of sparks and short circuits. A common mistake most people make is hiring a motorcycle shipping service without checking their insurance status. Although we, at EasyHaul, offer insurance during the transmission, it is advisable to do your research. Having your motorcycle insured during the transit is essential to make sure the maintenance costs are taken care of in case your bike experiences any damage. When shipping your motorcycle, it is essential to check the user manual for the bikes accurate measurements. Providing accurate measurements helps the shipping company rightly plan the transportation of your motorcycle. If you don’t know have the user manual, you can either take the measurements or search the web to find the exact dimensions of your prized possession. A shipping company requires a number of documents, such as insurance papers, payment details, and registration documents. It is, therefore, advisable to check and collate all the documents required to transport your vehicle. If you are unsure, speak with the support team of the auto shipping company you hire. Rather than going for the motorcycle shipping services provider with the lowest quote, choose a company is reputable and reliable, which you can easily assess by going through their customer reviews. Certifications from different organizations also validate the reliability and efficiency of an auto shipping company. A reputable shipping company offers a number of transportation options, such as shipping in enclosed contain, open air shipping, door-to-door shipping, and terminal-to-terminal shipping. EasyHaul offers all standard transportation methods and lets you choose from various shipping containers, including single and dual-axle flatbeds. Being prepared for the process and preparing your bike for shipping, both are essential to avoid any damage during transportation. If you are looking for a reliable motorcycle transport company, look no further than Easy Haul. In addition to offering affordable motorcycle transport cost quotes, we are known to offer world-class auto shipping services for all types of vehicles. Request a no-obligation motorcycle shipping quote by sharing the details of your shipping requirement on our homepage. If you have any questions, simply call +1 (360) 597 9320.